The final of the CFU Open Winter Cup 2018 was held in Novopavlovka village on February 23 2018. 13 teams in total took part at the tournament, including clubs from inland part of Russia. Representatives of B group – "Krymteplitsa" Molodezhnoe and FC "Sevastopol" met in final match. "Teplitsa" lead first -half with marked dominance, justly left to half-time ahead in the count. Evgeniy Prokopenko from Sevastopol killed the ball to own gate after inswinger corner kick in the 36th minute. "Sevastopol" started to play actively at second-half and managed to wipe out a goal deficit. Alan Koroev made the score 1:1 from penalty area in the 50th minute. Scone didn’t change at regular time. After 90 minutes were played the winner was determined by shootout series by mutual consent, where "Krymteplitsa" was more successful, won the series with the score 4:1. 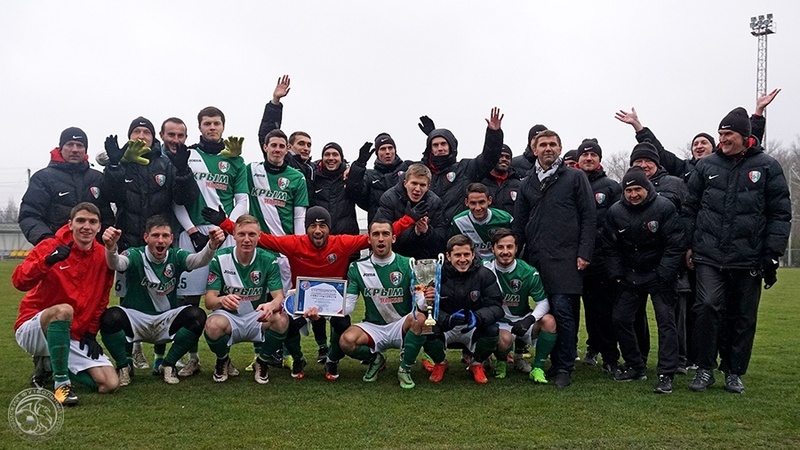 Thus, Molodezhnoe become the CFU Open Winter Cup 2018 owner. This almost all Crimean teams completed their preparations for the spring part of the CFU Premier-League championship, and now will prepare directly for the 15th tour matches, which will be held on March 3-4. On Saturday, March 3, will play: "Ocean" – "Krymteplitsa" (14.00) and "Kyzyltash" – "TSK-Tavriya" (16.00). On Sunday, March 4, there will be games: "Kafa" – "Yevpatoriya" (14.00) and "Sevastopol" – "Rubin Yalta" (16.00).